An international research team has discovered nonclassical superconductivity at extremely low temperatures in a compound of ytterbium, rhodium, and silicon. 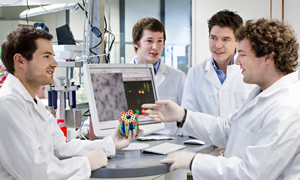 The project was a collaboration among physicists of the Technical University of Munich (TUM), the Walther Meissner Institute of the Bavarian Academy of Sciences in Garching, the Max Planck Institute for Chemical Physics of Solids in Dresden, Rice University (Houston, USA), and Renmin University (Beijing, China). Superconductors transport electrical current completely without resistance and are therefore of high interest for technology. While there is a physical explanation for classical superconductivity, it is not yet clear how the phenomenon comes about in high-temperature superconductors. Researchers worldwide are searching for models and examples that could explain it and bring them closer to the long-term goal of achieving room-temperature superconductivity. Now a mechanism by which superconductivity arises at low temperatures in a compound of ytterbium, rhodium, and silicon (YbRh:sub: 2 Si2) has been discovered by an international team: Prof. Erwin Schuberth of TUM and the Walther Meissner Institute of the Bavarian Academy of Sciences, Prof. Frank Steglich, director of the Max Planck Institute for Chemical Physics of Solids in Dresden, Prof. Qimiao Si of Rice University, and Prof. Rong Yu of Renmin University. In contrast to neutrons and protons, the building blocks of the atomic nucleus, electrons are extremely light. They belong to the class of particles known as fermions. In special materials and under particular conditions, though, they behave as if they were a thousand times heavier. 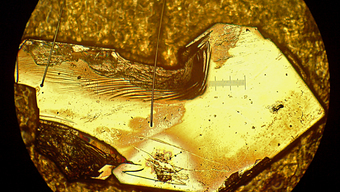 The intermetallic compound of ytterbium, rhodium, and silicon that the researchers investigated is a typical representative of such a material, a so-called heavy-fermion system. 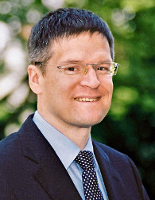 In Frank Steglich’s research group, heavy-fermion systems such as the ytterbium-rhodium-silicide have been intensively studied for more than 15 years. In earlier investigations, an external magnetic field enabled the researchers to obtain quantum fluctuations but inhibited the transition to superconductivity. 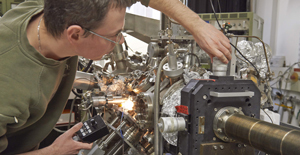 For their new experiments, the scientists used a nuclear demagnetization cryostat at the Bavarian Academy of Science’s Walther Meissner Institute in Garching. This device can cool samples down to a temperature of 400 millionths of a degree Kelvin. 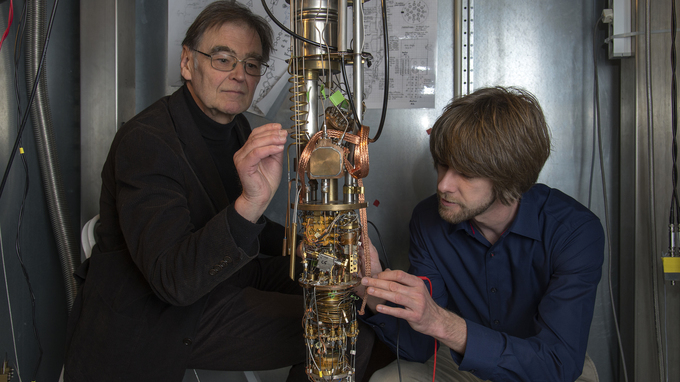 At a transition temperature of two millikelvin, the samples suddenly became superconducting. When theorists Qimiao Si and Rong Yu analyzed the measurement results, they found that the prerequisite for the superconductivity is a special arrangement of the nuclear spins of the ytterbium. According to their theory, at extremely low temperatures the nuclear spins link up and arrange themselves in a manner that competes with and decisively weakens the antimagnetic electronic order. In this way, the electronic “quantum critical” fluctuations come to bear – the driving force for the superconductivity. This research was supported by the German Research Foundation (DFG), the Robert A. Welch Foundation, and the National Science Foundation (NSF).